Welcome to our cemetery pages. Due in large part to the efforts of Tina Simmons, our Cemetery Committee Chair, AAGS has collected information on more than 500 cemeteries and burial sites throughout Anne Arundel County. Over the next several months, our goal is to add information about them to the Cemetery Records page. We currently have information for 260 cemeteries online. We first focused on the large cemeteries in the county, and have now started to work on the small, family cemeteries. Stop back often to check our progress. needed. If you have information to contribute, contact Tina. Locations on private property or not encouraging or permitting visits are clearly listed. Cemeteries are named in the following order: published cemetery name(s), most common surnames at site, nearby street names, and “unknown”. 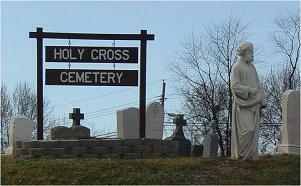 Cemeteries with multiple names are listed by their most well-known name. ADC Map Book locations refer to map books published prior to 2010 when the format changed. Are you having trouble finding a cemetery? Many cemeteries in Anne Arundel County are known by more than one name. Here's our list of Anne Arundel County cemeteries with multiple names to help you track down that elusive cemetery. We have also published several books and CDs about Anne Arundel County cemeteries and burials, including Cedar Hill and Mount Calvary Cemeteries, and African American and Slave Cemeteries. We also offer both book and CD versions of Anne Arundel Cemetery Sites. All of our publications are available in our Store.